While I agree with most of Slim Bernhard’s curly haired-head swagging opinions, I feel the world stands united in solidarity now more than ever, albeit virtually. The World Wide Web is a parallel universe full of accidental agony aunts and uncles. Yes, Instagram and Facebook are mediums of choice for narcissistic selfies and jealousy inducing peep shows into seemingly vibrant and sometimes fake social calendars. But it’s the Q&A sites that act as a safe haven for the real problems and people. 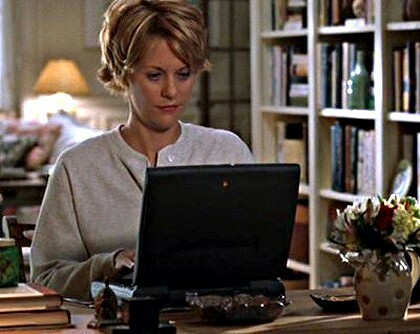 I might not relate to the arm-on-hip-lip-pouting-one-eye-winking-club-hopping chronicles of my “friends” on Facebook, but I sure can feel the love on Yahoo Answers. That’s where all the freaks and outcasts party hard. My issues in life are not uniquely pathetic and one of kind like I thought they were. There are close to a billion like-minded, ill-fated netizens out there just like me. Digital forums are the resident pools for all kinds of epiphanies, confessions & group therapy. Whenever I Google my symptoms from the side effects of reckless decisions made in life, hoping for an over-the-computer medicine, I am greeted by reassuring alternatives! Not only has some blessed soul posted the very same question, but has also been cured by advice from scores of others who have been-there-suffered-that! Writing and reading. (On Yahoo Answers, that’s for damn sure!) It’s expert consultation at zero cost. Foursquare, Zomato, Roger Ebert’s review site, Mouthshut, Cosmopolitan and Just Dial. They have answers for everything except for if God exists. Who cares that I don’t have a posse of peers with cuddly shoulders to cry on, when there is a whole sea of strangers to virtually vibe with! Whenever I need sage advice, I either ask them or Ask Jeeves. I don’t think I can call myself a loner anymore, even if I am one in the physical world. A man can definitely be an island- provided that island has wi-fi, if you know what I mean! Ditto goes for you too, you social (media) animal! Got private questions too embarrassing to share with your Facebook junkies, Whatsapp groupies and smoke buddies? Well no question is too personal for Mr. Google. He most certainly knows all of mine! Big Bro and I are very close. We even correspond late into the night… Don’t worry, only God and He can judge you!